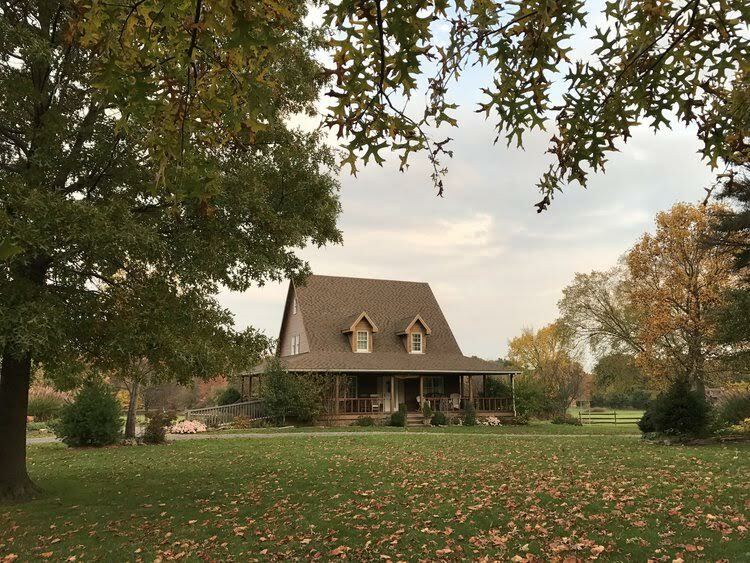 Located in the midst of the Amish Countryside, the Cedar Farm Inn is a place where you can come to enjoy a peaceful and serene environment, ideal to help you unwind. With a convenient proximity to Interstates 376, 80 and 79. With four beautifully appointed rooms, each with a queen size bed and a private bathroom. All day tea/coffee bar. Extremely comfortable and inviting common areas, walking trails and many amenities. Special rates for wedding and overnight accommodation packages. It is truly a distinctive venue to have both your wedding ceremony and reception. The Tap Room with caterer's kitchen and upscale restrooms also includes an outdoor deck to enjoy the scenic countryside. Beautifully landscaped gardens and meadow are perfect for photos. Clients are welcome to hire your own vendors. The Cedar Farm Inn is not only a B&B, it is also a place to have a wedding, shower, graduation, anniversary, business meeting, birthday and more.